Many people have not visited a dentist in some time. Others have relocated to a new community or are looking to switch dental providers. Some may find the decision of which provider to choose a difficult one. At Pelican Landing Dental, our new dental blog serves as an educational tool for all things dental. Today we will give a little guidance to anyone looking to find a new dentist. Feel free to check back on our blog periodically to learn more about dentistry and other oral health topics! These days a website is almost a necessity. You will, however, find a lot of variety in dentistry with regards to websites. 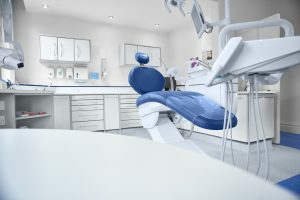 Viewing a dentist’s website should give you a glimpse into what you may find when you visit the office. Does the site serve to educate and inform prospective and current patients or is it simply a promotional tool? Often dentists that truly want to provide thorough care will also have a thorough site. If you are looking for a new dentist, we encourage you to call in to the office or stop by for a visit. What should you find? You should find that at every point of contact you have a friendly and helpful encounter. Feel free to ask for a tour of the office. Often patients spend more time with the dental team (hygienists, etc.) than they do the doctor so you should feel comfortable at every step. Due to the surgical nature of many dental services, a dental office must be extremely clean. As you tour the office you should be aware of your surroundings and note any areas that look less than sanitary. Just like all other walks of life, not all dentists are equal. Dental training does not stop at the completion of dental school. Feel free to ask the dentist about their ongoing education. Continuing education allows a dentist to constantly be improving their skills and knowledge. In addition to clinical education, you should have a good rapport with your dentist. If you have any questions or would like to visit us for a consultation, feel free to contact us electronically at any time or call us at (239)449-6104.